If you are running a business such as distribution or manufacturing then you need to be organized. Even if you are just a small online distribution Company the running of the business can be overwhelming. There are some great resources to help you with this such as OfficeBooks. 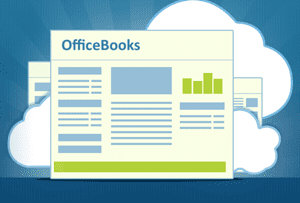 OfficeBooks is a business management program that is web based. It has been specifically developed for those in the manufacturing and distribution industry. It is all about automation when it comes to sales, purchases, and disseminating work orders. The Company claims that by automating many of the tasks within your business that are normally time-consuming it can free you up to grow your business. The hype really focuses around being able to manage your business more efficiently. Time is money in business as the saying goes. Almost every business has to automate as much as possible in order to be successful in today’s world. You do have an option to go with the free OfficeBooks account but there are several other packages that allow you to choose the one that is going to best suit your needs. These packages are offered to meet specific needs and range from $9.99 up to $169. Per month. The first commitment you need to make is to take a close look at your business functionality now and determine it’s weaknesses. Then look closely at what OfficeBooks has to offer in their various packages and determine which one would be the most beneficial to you. There are a lot of features that come with OfficeBooks such as inventory control, sales and quotes, purchase orders, and credit card acceptance, and contact management. What we really like about it is that you can specifically choose a package that you need so you are not paying for a bunch of applications that have no value to you. The packages being offered are, purchasing, distribution or the whole package. What makes OfficeBooks credible is that it’s a business management system that has been developed by business people who have “been there done that”. So they know first hand the types of challenges that business owners in the manufacturing and distribution world face. Something else that they have focused on is keeping it simple. There is no doubt that whenever automation is being put into play in the business setting especially it comes with a learning curve. OfficeBooks definitely appears to be worth the time and effort to do this and we are prepared to give it a thumbs up rating. If you are the owner of a business that is on the grow then you cannot afford to pass up resources that are going to make business operation and management easier. While OfficeBooks looks after some very important aspects of the business there are additional tasks in the administrative department that need to be attended to like payroll. Depending on the size of your company you may want to use a service like Paychex to help with efficiency of payroll obligations. What do you think? Does OfficeBooks work or not? Does My Corporation Really Work?